Want a quick and simple way to introduce the idea of symmetry to your kids? Peakles and I found a great way to look for the lines of symmetry in our painted loving hearts. These are very simple to create and is a great visual way of helping them to identify a line of symmetry in an image. It is also a great way to start introducing other ideas such as asymmetrical shapes and images with multiple lines of symmetry. First we began just placing some paint onto some paper and folding it in half. 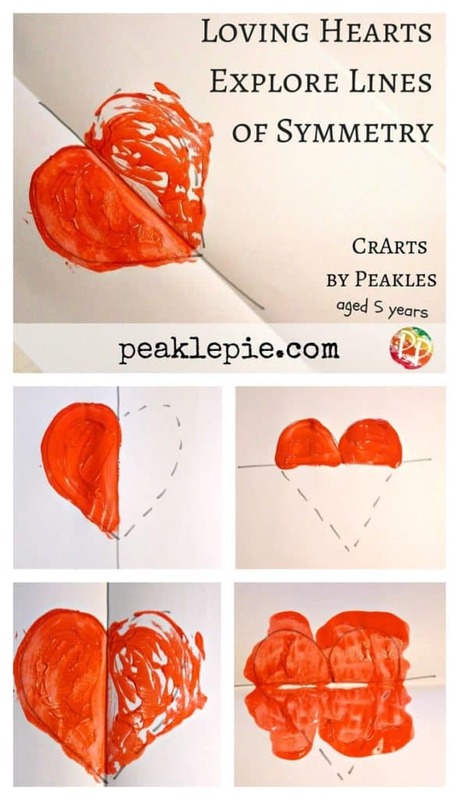 Peakles has been doing this activity for years to make butterflies and flowers. Next we moved onto making some loving hearts for her bedroom wall. This time, I asked her to fold the paper in half first and then to paint half a heart shape onto one side of the paper. She then carefully folded the paper in half. When she opened it up she could clearly see the full heart shape. I asked her to draw around her heart shape and to include the line down the middle. I asked her if one side was exactly the same as the other and she thought it was. We used the terms ‘mirror image’ and ‘line of symmetry’ plus we said it was a ‘symmetrical image’. Peakles was very confident in making a few more hearts and clearly and correctly used the terms. Next we moved onto thinking about whether there were any more lines of symmetry in the heart shape. Peakles asked me to draw a heart and she painted the top part of the heart only. She then folded it in half. I asked her if she would get another heart shape and she was not too sure. When we unfolded the paper she was surprised to see her heart had turned into a butterfly shape! She decided that the heart had only one line of symmetry and that was down the centre to the tip of the heart! We enjoyed making our loving heart shapes, and we also made some more butterflies too! Next, we plan to explore symmetry and asymmetry in shapes using a mirror and by making our own kaleidoscope! 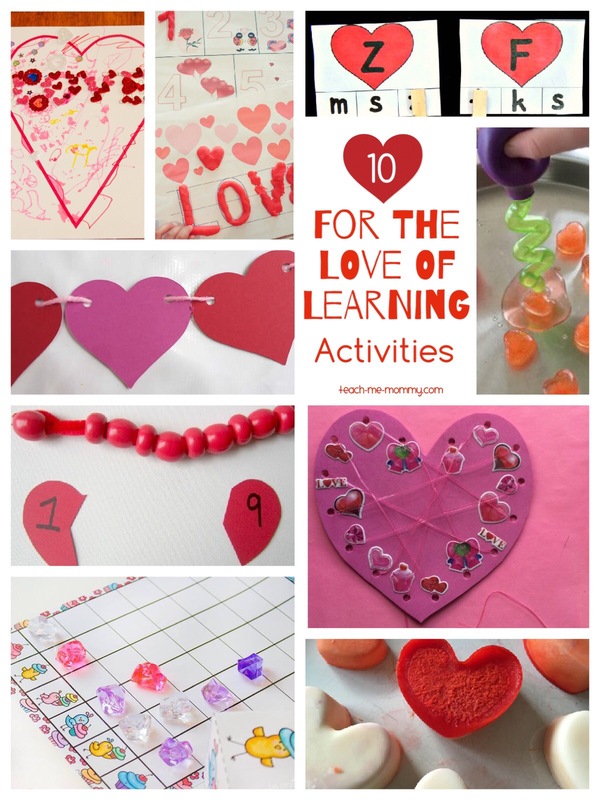 Peakles and I are joining in with this great idea from Teach Me Mommy that is combining all things to do with Love and Valentines with some positive learning outcomes as well! Love this combination of art and learning! What a fun idea!! We’ve been working on symmetry, so we’ll have to give this a try! 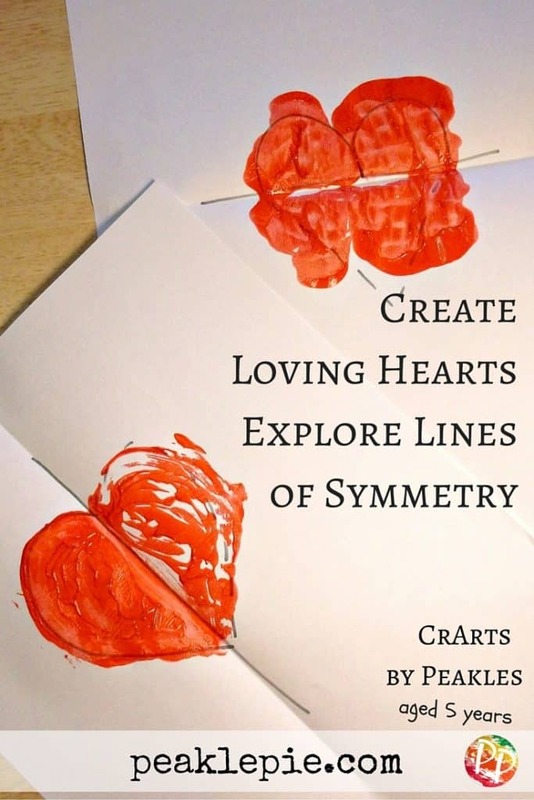 A great way to explore symmetry with kids.